At Hanukah in the Square on 12/12/12 there was 1 minute of Klezmer Rebs political statement; there were 149 minutes of celebration of Hanukah by Jews and non-Jews with food, candle lighting, and dancing. 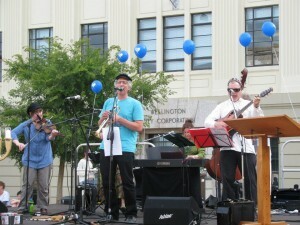 Yes even Mayor Celia Wade-Brown and the Israeli Ambassador were dancing to the Klezmer Rebs! 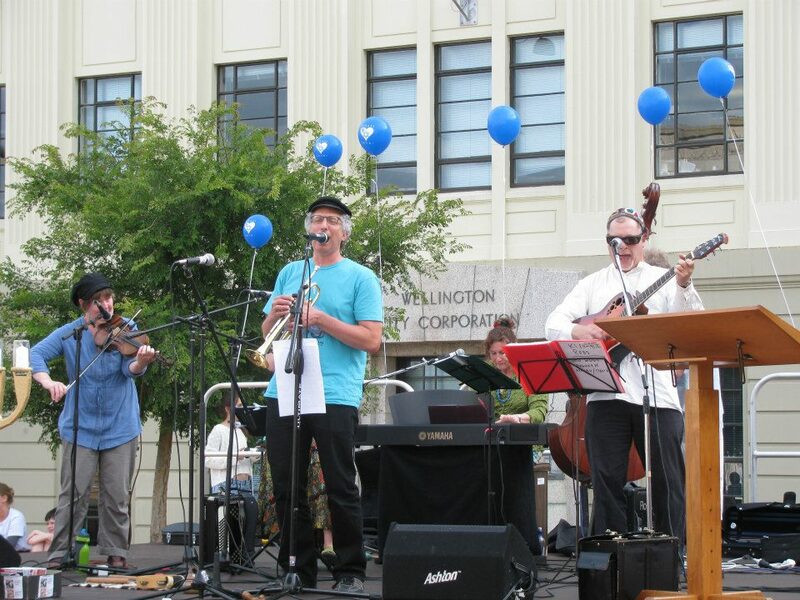 Tonight, on the 5th night of Hanukah, 12/12/12, the Klezmer Rebs played a gig at a community celebration in Wellington’s Civic square. It was attended by the Mayor, a big crowd of Jews and non-Jews, and sponsored/organised by the Israeli Embassy. In the past few weeks the band members had discussed our feelings about playing for a Jewish Hanukah festival gig sponsored by the Israeli Embassy. We decided yes we wanted to perform and that we also wanted to take the opportunity to express our views to the Israeli Ambassador. We gave a good deal of thought about what we wanted to say. “Our next number is a medley of peace songs that will be familiar to many, composed of biblical verses and prayers yearning for, and helping us actualise peace. “Oseh shalom bimromav”: May the maker of peace in high places bring peace to Israel and all the world”. “So let’s get up and dance for peace!